Waking up to a buzzing alarm clock is sometimes the worst thing ever. It's a gorgeous day, the sun is shining, you're happy it's a new day, but the incessant, grating buzz kills your good vibes. But the Uniqlo Wake Up app for iPhone will get you started on the right path. 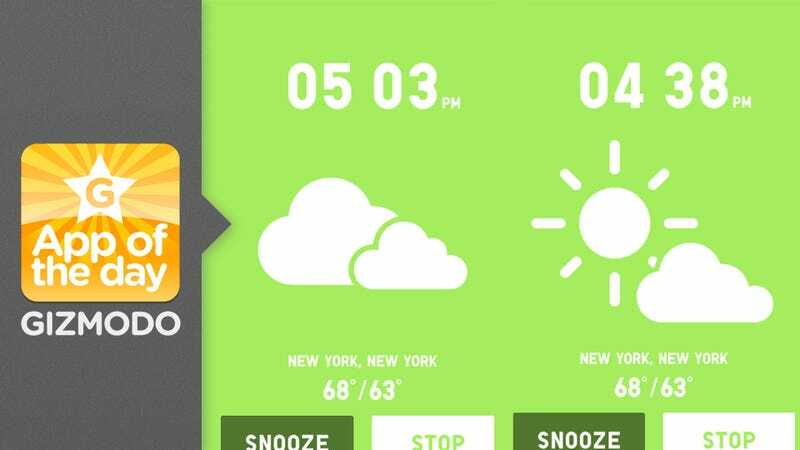 It plays a custom song that reflects the weather, hour, and day of the week. If you want, a pleasant voice also sings the temperature, conditions, and time (but you can turn off this feature if you like).